The keys to a home are much more than basic security, they have become physical icons of ownership for our society. 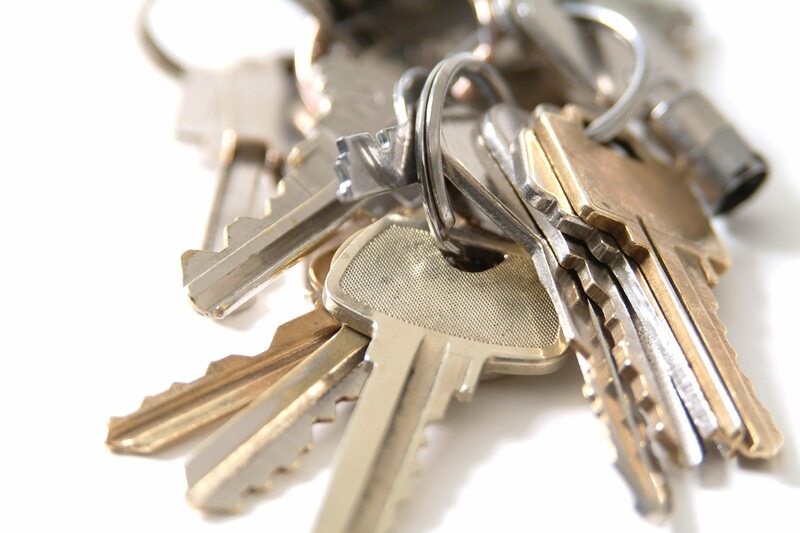 Keys are everywhere in language: we talk about the keys to understanding, a turn-key project, the key to the city, and turning the keys over. But as the “internet of things” enters our lives through small appliances, cars and entertainment, opting for an electronic locking system may be the way to go. One fan of electronic locks is Kevin Claus, the owner of Cedar Grove Lodging, a log home rental company. 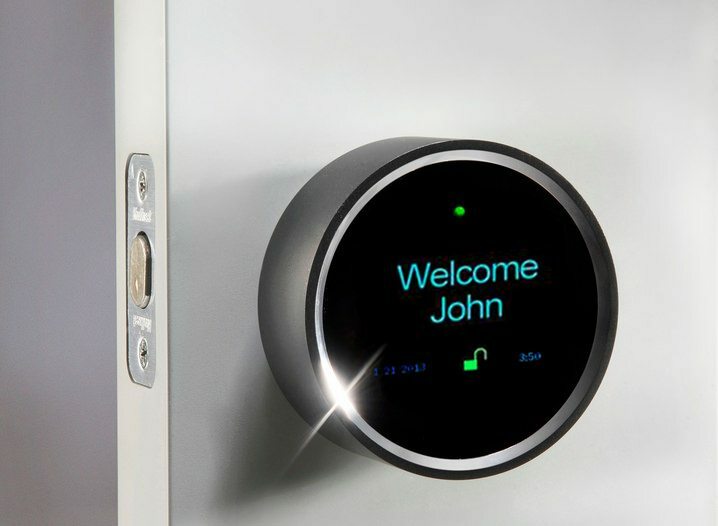 The keyless entry allows him to manage his properties, including check-ins and check-outs wirelessly. He sends a new pass code to each guest to unlock the cabin during their stay. When they leave, he re-programs the lock to a new password. If they forget the code, relief is a text away. For vacation properties or for owners who travel frequently a wireless electronic system can also help to monitor access by service personnel, cleaners or guests. Many lock manufacturers have added electronic systems with varying features to their product line. Schlage offers several variations on the keyless lock system (left), some with keyed deadbolts as a back-up. The touch screen in most cases operates a motorized deadbolt. The touch screens are tamperproof and emit a warning alarm when the door is moved to indicate tampering, unauthorized access or forced entry. The lock system is accessed by computer, smartphone or tablet, and can store up to 30 pass codes. 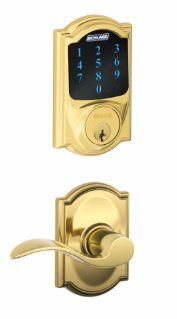 Schlage offers deadbolts that simply lock and unlock, as well as accent levers or knobs to help open and close the door more traditionally. The website offers a tool to help determine which model best suits your home. 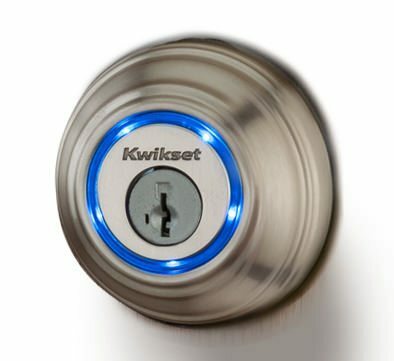 Kwikset also offers touchpad options with stylish faceplate options. Their newest keyless entry system is the Kevo Bluetooth SmartKey Deadbolt (at right). This system works with a traditional keyed deadbolt but opens with a touch using the homeowners’ smartphone Bluetooth wireless features or a special Bluetooth key fob provided with the system. Just a touch to the glowing blue circle on the face of the deadbolt and the door opens. This system also allows tracking entry through the smartphone app. The original Kevo set comes with the deadbolt unit, interior fixture, two e-keys, two conventional keys, one key fob, batteries and the downloadable free app. Additional e-keys can be purchased anytime through the smartphone app and can be reassigned and changed any time. 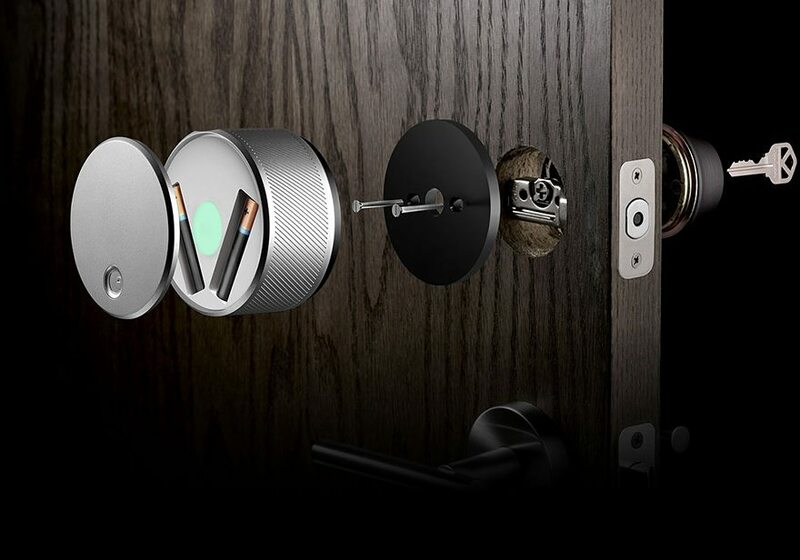 Goji™ Smart Lock (bottom left) goes one better than the Kwikset Kevo by providing real-time photos of visitors at the door. 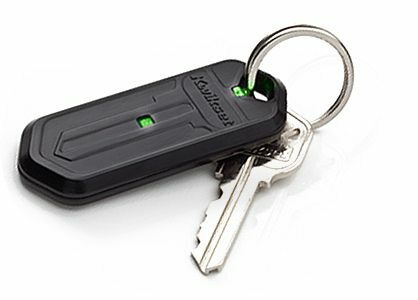 The system includes smart key fobs and real keys for back up. Goji also offers a customer service representative on call who can unlock the home if the phone is lost or stolen. The exterior Goji unit greets the homeowner by name, and can be programmed to provide access at a specific date and time. August Lock (bottom right) is a hockey puck-sized unit that takes about 10 minutes to install over your existing deadbolt and doesn’t require a change to the exterior hardware, which can still be accessed with a traditional key. The Bluetooth technology will note when the door is closed and automatically lock it. The smartphone app can also send out party invitations with one-time access codes using your contacts list. The units are battery operated and will alert the user when the batteries are running low.